Eric and Sookie lead an attack on the Authority and try to stop Bill from making a big mistake. Sookie looks into her family's ancient scroll on this episode of True Blood, while Alcide reconnects with his father. 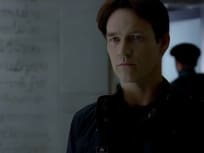 Bill launches a PR campaign on this episode of True Blood, while Jason makes an interesting discovery. 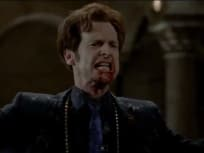 Salome and the Chancellors celebrate the start of the holy war this week on True Blood, while Sookie finds herself in danger. Sookie and Jason head to the spot where their parents died on this episode of True Blood, while The Authority heads down a dangerous path. We delve into Salome's true intentions this week, while Alcide prepares himself for a fight and Sookie embraces her human side. 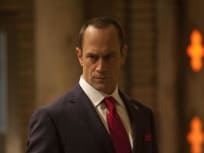 The Authority comes after Bill and Eric when they lead them to Russell on this episode of True Blood. Roman, meanwhile, maps out a strategy for containing Russell. 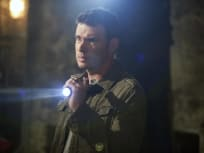 Jason is affected by a dream on this episode of True Blood, while Bill and Eric enlist Sookie's help in their search for Russell Edgington. Pam tries to work on her Maker relationship this week, while Bill and Eric begin their search for Russell in earnest. 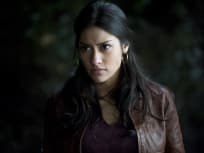 Tara is on the loose during this episode of True Blood. Who will she feed on? We meet the Authority on this episode of True Blood, as members grill Eric and Bill and debate their fate. True Blood is back for a fifth season! We learn the fate of Tara on this episode. Pam: Can't imagine it's good. Permalink: She smells. Is that bad? Can't imagine it's good. Fangs are basically like twin hard-ons. Permalink: Fangs are basically like twin hard-ons. 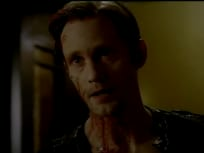 True Blood Round Table: "Save Yourself"